Sam Smith is an NHS Manager by day, and, for five years now, a reviewer by night. He covers opera, classical music and the occasional piece of jazz for musicOMH, and theatre and ballet for other websites. 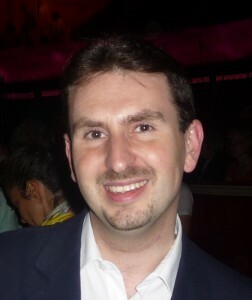 He has a PhD in Political History from Royal Holloway, University of London, and a particular love of Wagner. He fondly remembers going to Bayreuth at the age of seven to watch the entire Ring Cycle, and his signed book from Wolfgang and Gudrun remains one of his most cherished possessions. He is just at home, however, listening to a Handel oratorio, and loves the gargantuan Proms as much as the intimate Wigmore Hall. More generally, Sam has a wide ranging interest in the performing arts, art and architecture, and has been known to have spent more time in exhibitions on the Italian Renaissance or German Expressionism than it would take to see Götterdämmerung!